The stock market rallied broadly on Tuesday on the back of good earnings results and led higher by technology and healthcare stocks. Trend-following darling Adobe (NASDAQ:ADBE) stock acted notably well and, thanks to Tuesday’s rally, held key trend support. Barring any sharp bearish reversal from here, the stock looks to see a further bid into year-end. 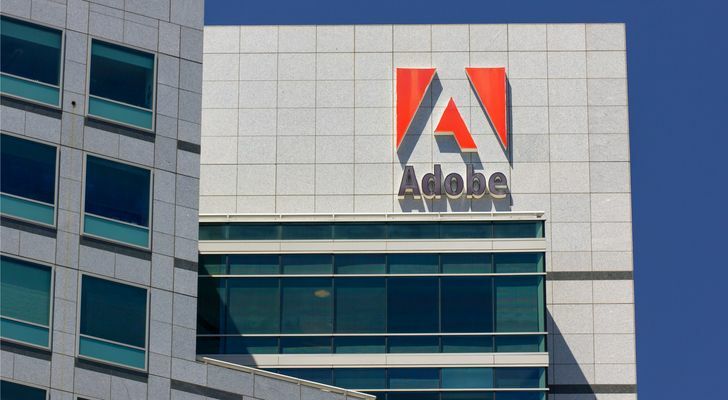 On Monday, Adobe reported its latest financial results and along with it gave an upbeat 2019 outlook with a 20% rise in expected sales. Traders and investors welcomed the news and blasted the stock higher to the tune of 9.52%. With a little more than just two months left in the calendar year 2018, the water level is now notably rising for underperforming fund managers. Thus, in order to make up lagging performance, they are now increasingly likely to chase higher some of the winner stocks of 2018 into year-end and I think ADBE stock could be among those names likely to be bought. While this is a common phenomena in the last couple of months of the trading year, it looks like this year this type of performance chasing could become even more pronounced, given that the stock market traded in a more choppy fashion (rolling bear market in sectors) than in recent years and thus made life more difficult for the average fund manager trying to generate alpha or even just market beta for that matter. For some perspective, let’s apply some multi-time-frame analysis to see where ADBE stock bounced from yesterday. On the weekly multiyear chart, we see that by connecting the lows from 2017 we can draw a simple red support line. Despite the market choppiness over the past couple of weeks, this line of support held on a weekly closing basis and is likely to do the same this week. Thus, from a trend-following perspective on the bigger-picture weekly chart, ADBE stock continues to act well and thus favors a move higher toward the upper end of its trading range, which comes in around the $280 mark. On the daily chart, we see that the 15% drop over the past couple of weeks brought ADBE stock right back go a key horizontal support area (gray box), which also lined up perfectly with its red 200-day simple moving average. In my eye, this stock now, as a result of the sharp one-day bounce, may be immediate-term overbought. However, the technical support area around the $235 zone is strong and, barring any major new bearish developments, should provide further support for the stock to head toward $280 or higher into year-end. Any strong bearish reversals in the stock, particularly on a weekly closing basis, should trigger a stop loss in this trade idea. Serge’s Free Daily Market Videos and Trade Ideas. Get them HERE. Article printed from InvestorPlace Media, https://investorplace.com/2018/10/trade-day-adobe-stock-holds-all-the-important-lines/.